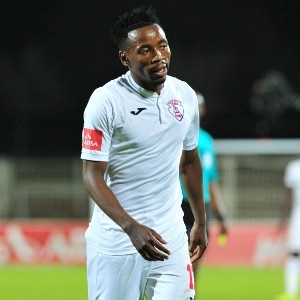 Cape Town - The Premier Soccer League (PSL) confirmed on Monday that teams will observe a moment of silence for the late Free State Stars player Sinethemba Jantjie. Jantjie passed away this morning in a car accident. "The moment of silence will apply at all Absa Premiership, National First Division and MultiChoice Diski Shield fixtures from Monday, April 1 until Sunday, April 7," the PSL said. "The PSL conveys its heartfelt condolences to the family and friends of Sinethemba Jantjie during this difficult moment." Jantjie, 30, had signed a pre-contract agreement with Bidvest Wits ahead of the 2019/20 season after his impressive displays caught the eye of Gavin Hunt.